The Information Technology Department at BYU-Idaho is responsible for all of the technology on campus. While that is a lot to manage, the department also offers its help to students and faculty. Tim Andersen, technology support manager, explained how simple it is for students and faculty to receive tech help. “If you call (208) 496-1411, if you follow the prompts, you’re going to get to the right group (to help you),” Andersen said. 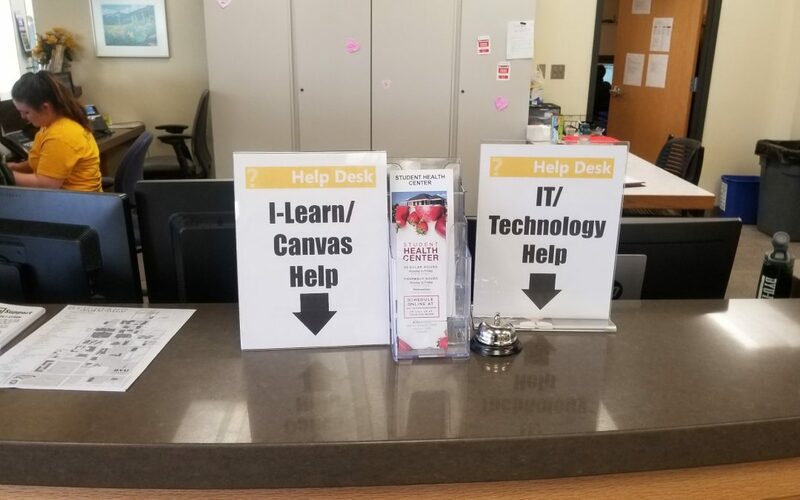 On-campus students and faculty can also visit the Help Desk in the Manwaring Center for assistance. The IT Department helps with all kinds of technology, including computers, tablets and smartphones. Andersen said refining technology support at BYU-I has been an ongoing process. “Even just in the last few months, there have been significant efforts around how to unify and how to fill the gaps in support,” Andersen said. The IT Department also offers assistance for more than just technology issues. They help answer general questions and walk students and faculty through downloading things like Microsoft Office or installing other programs students use for specific courses. Andersen said IT support can even help faculty and students whose computers are running slow. “A lot of times there’s some pretty easy fixes with some tools we have,” Andersen said. According to Andersen, IT helps teach good practices for computer users, such as backing up your hard drive, having antivirus software and avoiding malware. “There’s definitely a lot of educating that happens with this,” Andersen said. There have also been different initiatives put on by the IT Department to help educate students and staff around technology dangers like malware and phishing attacks. Andersen said overall he is confident he and his team can help. “If you have a question about technology … you really should be coming to our team because we want to help you with it,” Andersen said.